Before E3, I heard from a decent number of sources that the PS4 was likely going to have similar DRM restrictions as the Xbox One, thanks to continued publisher pressure on both Microsoft and Sony, and there was also reason to believe that their price point was going to be comparable to the Xbox One. Yet, all of that turned out to be wrong, with Sony surprising gamers and journalists with a very concerted push against DRM and anything that would even slightly change the way people interact with their console games. Then, they stunned again with a price $100 lower than the Xbox One. They had clearly grasped onto a perceived opportunity and run with it. Following the Sony reveal, I also heard rumors that this had been a recent development, with the price point possibly even finalized that day in response to Microsoft's announcement. Now, having been surprised just hours before, I was much more skeptical about these suggestions, but I genuinely wondered why it felt like I had so many mixed messages. What is going on for it to seem like nothing is certain? Weren't these decisions all just part of larger long-term marketing plans as they usually are? What is going on for it to seem like nothing is certain? Weren't these decisions all just part of larger long-term marketing plans as they usually are? Then, today came, and I was left speechless. 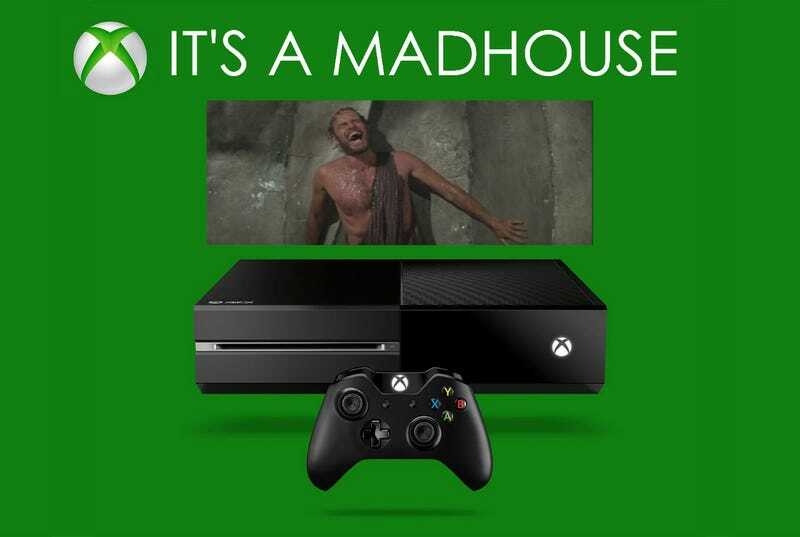 Even with the rather vocal backlash against Microsoft's changes with the Xbox One, I thought it was set in stone. As any large corporation would, Microsoft certainly researched in detail the possible impact of these choices, and they must have judged the possibility of a backlash as worthwhile in their long term goals. They couldn't have planned for the messaging disaster that occurred since the initial reveal, but they wouldn't be the first game company to overcome a rocky start. Some gamers' anger was something to be expected, and they likely thought it would fade by the time the console actually came out and the glow of new games drew the most attention. As much as gamers complain about and discuss other aspects of gaming, console purchasing often centers more around whether someone is interested in the games on a platform or not, and even the most ardent opponents of DRM or DLC will often relent if the right games come along. This is what game companies keep hearing year after year, as people speak loudest with their spending, and it takes quite an uproar for them to hear something else. Yet, here we are. A moment when Microsoft looked into the abyss of gamers and they looked right back. As much as people demanded that this happen, I thought this would be insane. For a company with their massive marketing plan coming out of E3 and only months away from launch, there was no way Microsoft would change their policies. To do so would suggest that everything was up for negotiation. And, well... they just showed you that it is. If you ever questioned whether game companies really hear you, well, one of the biggest game companies around just heard you loud and clear. There was no way Microsoft would change their policies. To do so would suggest that everything was up for negotiation. And, well... they just showed that it is. And in what may be overshadowed by today's news, this gives more credence to the likelihood that Sony heard you, as well. Two of the big hitters in gaming likely saw consumer uproar and directly responded to it with big changes to their plans. Sony got in early, making this choice like an unexpected uppercut to Microsoft, and as their jaw still quivered from the blow, gamers kicked them until they said, "Enough! We get it!" And while it remains to be seen whether they truly do get it, today is at least a start. Right now is an odd time for the gaming industry, and the announcements today and at E3 should make that abundantly clear to all gamers. Things are just plain nuts at the moment. As much as the big game companies are portraying confidence, often even arrogance, they are clearly much more concerned than we see. Today, Microsoft backed off from its plans and are changing major parts of their console just months out from release. They didn't release the console, see actual poor sales, and then make the shrewd business decision to implement these changes in the hopes of counteracting that under-performance. No, the simple -fear- of that possibility made them take drastic action to course correct. The console makers are feeling the threat that gamers may be willing to leave them for other options, and a classical console war mentality isn't going to save them. The gaming industry is feeling a lot of uncertainty right now, and this shows that they're serious about not making a big mistake if they can help it. They are freaked out, as the stakes are too high. The console makers are feeling the threat that gamers may be willing to leave them for other options, and a classical console war mentality isn't going to save them. Microsoft apparently felt confident enough to take a big risk with the Xbox One, but even that confidence has now been shown to be mostly hollow. Things are changing rapidly, and no one in the industry is safe. So, while we celebrate this apparent victory for getting a game company to do what many gamers wanted, we should consider what else this may mean for gaming as a whole. If one of the big three can bend like this and change at such a pivotal moment, just about anything is possible. Even with their big plans and years of research, these companies are rather openly winging it in an attempt to survive in the market. Which, depending on how you look at it, is either relatively good and exciting or a little bit bad and concerning. Either way, it's almost certainly nuts.